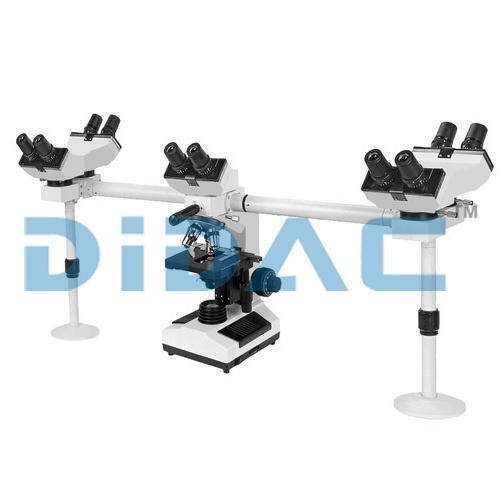 An emulative organization, Didac International was established in the year 2014 and since then we are successfully exceeding the expectations of clients by manufacturing and wholesaling quality Laboratory Equipments. The huge variety of products offered by us includes Control Valve Characteristics Apparatus, Fluid Mechanics Lab Equipments and Mechanical Lab Equipment. Our instruments are well appreciated by clients for their user-friendliness, accurate results, longer life and excellent performance. All our equipments are widely utilized in educational engineering labs namely mechanical lab, thermodynamics lab, biochemical lab and heat transfer. We are a highly quality centric firm and all our products are manufactured using the finest raw material, keeping in mind technological advancements and norms laid down by the industry. Our commitment for excellence and zealous efforts have rendered us huge client base. For meeting specific and individual requirements of our wide base of customers, we have adequate and sophisticated infrastructure, innovative quality control house a big team of domain professional. Our personnel are specialized in managing and executing the production processes with the help of our advanced manufacturing arrangement. We are soundly geared up to undertake the project for custom-made configurations and ensure the delivery on promised time span. We have also taken up different strategic plans to figure out the prevailing trend and demands of the markets. Thanks to sincere dedication and onerous effort of our workforce, we are successful in developing the equipment that caters to crucial requirement in line with clients' specifications.